Join a team that seeks to make a difference! The Theders family built the agency on a foundation of Christian values and creating best business practices. Our firm goes beyond insurance policies to build caring relationships with our clients, our co-workers and our community. We also support education and training for our staff for their personal and professional growth, and have built a culture that values hard work, family and fun. For more than 40 years, RiskSOURCE Clark- Theders has employed many of the top talent in the tri-state area. 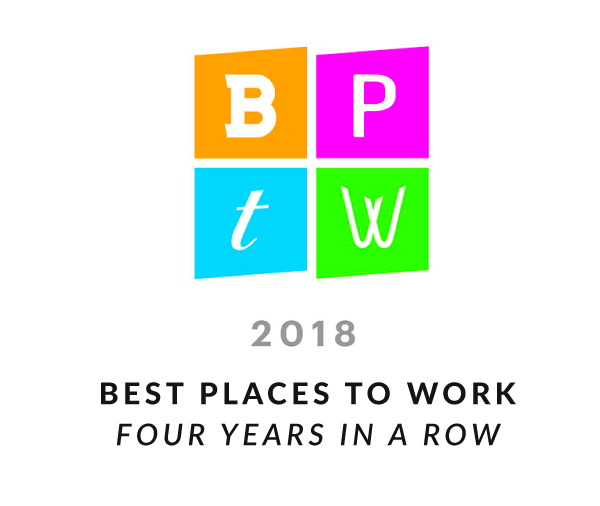 For the past 3 years in a row, our organization has won the Cincinnati Business Courier’s Best Places to Work. We have also received the award for Best in the World for Workers by the B Corporation in 2016 and 2017! Not only are we an awesome place to work, we are proud to offer competitive benefits to all our team members. Our benefits include health insurance, vision insurance, matching 401k, paid time off, flexible work schedules, work from home options, interoffice health and wellness challenges, volunteering through RiskSOURCE Cares, and much more! As a part of our RiskSOURCE Cares program, each team member receives 30 paid hours a year to donate their time to a nonprofit organization(s) of their choosing. We also work in teams to raise money within our office to donate to local organizations.